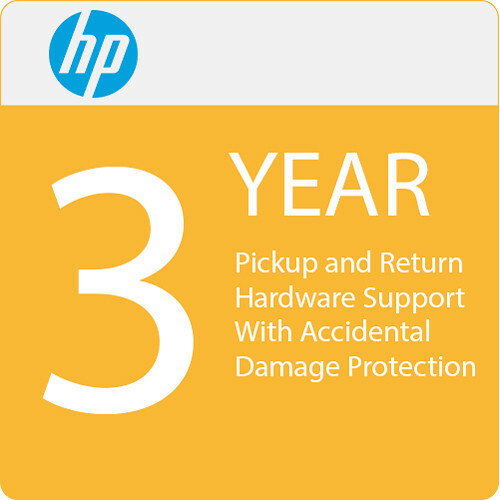 The 3-Year Pickup and Return Hardware Support with Accidental Damage Protection G2 for Notebooks from HP provides users with high-quality return-to-HP service levels with remote telephone support and offsite repair for eligible and in-warranty HP Elite x2 1012 G2, Elite x2 1013 G3, EliteBook 1050 G1, EliteBook x360 1030 G2, EliteBook x360 1030 G3, EliteBook x360 1040 G5, ZBook 14u G5, ZBook 15u G5, ZBook 17 G5, ZBook Studio G5, ZBook Studio x360 G5, and ZBook x2 G4 systems at a designated HP repair center. This service includes remote problem diagnosis and telephone support, pickup, offsite repair, which typically takes 3-5 days, materials and parts, labor, and return shipping costs. Additionally, accidental damage protection covers spills, drops, falls, and more. Please note that three year duration of this warranty and its services begin on the hardware purchase date of the HP system it is covering. HP's technicians have the tools and resources to repair your equipment properly. Accidents happen. In the event that peril finds your system, don't worry - accidental damage protection covers spills, drops, falls, and more.